Nancy Flynn, founder and president of Nancy Flynn Public Relations, Inc. and its Business Writing Institute™ division, is an in-demand writing skills trainer, writing coach, business writer, and author with clients worldwide. The author of 13 books published in six languages, her titles include Writing Effective E-Mail, 3rd Ed; The Social Media Handbook; The ePolicy Toolkit; The ePolicy Handbook; E-Mail Rules; Blog Rules; Instant Messaging Rules; E-Mail Management; The $100,000 Writer; and Networking for Success. Her books are published in six languages: English, German, Spanish, Russian, Vietnamese, and Chinese. 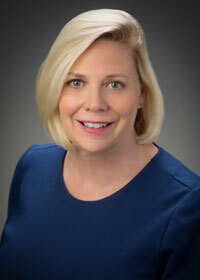 A professional trainer, speaker, and writing coach, Nancy Flynn has conducted onsite seminars and online training for clients including OhioHealth, Ross Labs, Analog Devices, Smith & Nephew, Ontario Hospital Association, the World Bank, Universal Studios, KPMG, Waha Capital, Ohio Supreme Court, State of New Mexico, Assurex Global, Property Casualty Insurers of America, Nationwide Insurance, Association for Accounting Administration, International Association Administrative Professionals, World Airlines Customer Relations Association, American Management Association, American Bar Association, Federal Bar Association, West LB Bank, Yahoo! Canada, Microsoft, MessageLabs, and Symantec among other government entities, corporations, associations, and conferences worldwide. View our comprehensive client list. A noted business writer, she has written hundreds of annual reports, brochures, whitepapers, and other content for a client roster that includes Fortune 500 companies, government agencies, associations, and technology leaders. An executive ghostwriter, Nancy Flynn has written thousands of articles under clients' bylines for business, trade, and consumer publications. Founder of our sister company, The ePolicy Institute™, Nancy Flynn is internationally recognized for her expertise in e-mail, social media, and other forms of electronic writing, compliance management, and policy. She also serves as an expert witness in litigation involving workplace e-mail and Internet use. A popular media source, Nancy Flynn has been interviewed by thousands of media outlets including The New York Times, Time, Newsweek, BusinessWeek, Fortune, Forbes, The Wall Street Journal, US News & World Report, USA Today, Readers' Digest, NPR, CBS Early Show, ABC World News with Diane Sawyer, CNBC, CNN Headline News, CNN Anderson Cooper, Fox Business News, and NBC. She also is a National Workplace Communication columnist for Examiner.com. View our News & Events page for recent news coverage. Nancy Flynn holds a master's degree in English from The Ohio State University (OSU) and completed Ph.D. coursework in Rhetoric & Composition at OSU and the University of Chicago. She has served as an adjunct faculty member in the English department and School of Journalism at Ohio State University, teaching business, technical, and expository writing to undergraduates and graduate students through the Ph.D. level. In addition, corporations, associations, training companies, and universities including Cornell and Clemson have made Nancy Flynn's business writing and e-mail/social media writing/policy programs available online for students and external audiences.